Social Services, Parliament Buildings, Wellington. More than 50 years since the 1964 Act was passed, it is set to be replaced by a new Social Security Act. Read the debate in Parliament at the First Reading of the Bill on 10th May. Basic principles of social security: Welfare for the 21st Century needs to be based on the values of interdependence, social cohesiveness and the common good. The current work-focused approach is inadequate. Read more about an alternative vision for welfare developed by churches’ Alternative Welfare Working Group in the discussion below. Obligations: the Bill contains around 70 clauses setting out the obligations on beneficiaries but only 2 set out the Government’s obligations. For instance, there is no obligation on MSD to ensure people know about all possible entitlements. Notification and Communication: How does MSD ensure that people receive timely notification of information? Postal communication is becoming slower yet use of text and electronics is not reliable either. The digital divide is real even as more flexible and responsive ways of communicating are needed. Sanctions: The sanctions regime is punitive and denies vulnerable people and their children vitally important income. This is a chance to remove the worst sanctions such as those on solo mothers not disclosing the birth father of their child. Redirection of Benefits without consent: Redirect payments to help support social housing tenancies “without consent” is a significant change and must be qualified by “good reason” and ensuring people have sufficient income to meet payments. Inflation Adjustments and Abatement Thresholds: Only some benefits are indexed to the CPI inflation measure and the abatement levels for additional income and thresholds for the Accommodation Supplement are not. There is good reason to set benefits at a level matched to the average wage (as it done for NZ Super). Reviews and Appeals: There are some improvements in the process for reviewing and appealing decisions, more changes are needed to ensure the Benefit Review Committee has genuinely independent membership, follows principles of natural justice such as right to representation and makes its decisions in a timely way. Regulation Making Powers: Moving significant parts of the legislation into regulations means there is less democratic scrutiny of the Minister’s decisions. This Bill introduces significant changes to social security law that further cement an approach to social security that is neither “social” nor “secure”. The underlying focus of the Bill and the current approach to welfare is one built on driving people towards paid employment and a highly targeted and punitive approach to incentives and income support. The so-called “investment approach” to welfare is further embedded through a new Section 4(e) of the Bill that introduces a new principle aimed at “people at risk of long-term welfare dependency“. This is aimed at using the government’s ‘big data’ to profile those considered to be most likely to be receiving welfare assistance long term and target them for focused “assistance, support and services”. There are many good reasons to question the ethics and the effectiveness of this approach and The Treasury has recognised that making such linkages does not truly identify causes. In addition there is growing unease about issues of privacy and tendency to “machine bias” with such risk assessment approaches. During 2010 the churches sponsored the Alternative Welfare Working Group in response to the government’s very narrowly focused Welfare Working Group review of social welfare. Welfare Justice For All, the final report of the Alternative Welfare Working Group, sets out the values and vision that should underlie the approach to welfare in this country. It is these principles that need to inform the debate about the Social Security Rewrite Bill. These principles draw on the comprehensive work done in the Royal Commission of Inquiry into Social Security 1988 and the 1972 Royal Commission on Social Security. Affirm adequate benefit levels to ensure participation in society and reject punitive stigmatising policies and a narrow focus on paid work. 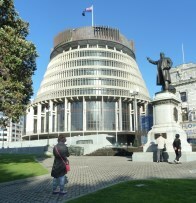 NZCCSS welcomed the report as taking a “21st century approach to social security, one that incorporates a broad approach and recognises the links between employment, education, health, housing and social policies based on enhancing inclusion and reducing inequalities”, providing a vision for a successful New Zealand. This Bill is in fact largely a re-write, but it is important to identify the extent to which it is not just a re-write. The Bill has been set up with a clearer and more understandable structure. In looking at the Bill is it important to consider where changes in the Bill are possible and any gaps in coverage or entitlements that may have emerged either by omission or intent in drafting the Bill. The legislation needs to take account of the complexity of people’s lives that requires a degree of flexibility, adaptability and discretion in meeting their needs for support. Timely decisions from welfare authorities are also important. This covers both accessing initial support and changes to support on a day to day basis as well as issues of review and appeal of authorities’ decisions that can cover months or even years. The effect of the various abatements to benefits as people access additional income through paid employment or changes in circumstances is important but the initial analysis is that the Bill makes no changes in this respect. How income is assessed and calculated is another important impact of the Bill. The definitions of income contained in the Bill’s Schedules play a role in this and there are new terms. How are specific groups impacted and how can their perspective be brought into the analysis? What does a ‘child-centred’ analysis mean drawn out of the experience of children and their families? People in prison and their families as well as the experience of those leaving prison and looking to re-integrate into wider society. Refugees and migrants face specific challenges in accessing support and in their interactions with government. People living with disability are hugely impacted by the way the social security legislation operates and how their potential and specific needs are recognised and responded to is decisive. Advocates play a vital role in supporting people to access income support. The current system does not deliver fair results in many cases without people having the support of an advocate in accessing their support they need. Access to services is an issue. The declining number of actual service delivery sites (i.e. Work and Income offices), the trend to online-only services and contracting out of services (e.g. to other agencies) are tending to make it more difficult to access services for some people, especially the very marginalised. Rural communities’ experience is difficult with both access to services and well as assumptions made such as how far people have to travel to take up available work and training. How does the interface between the Bill and supporting regulations operate? There are important questions about the integrity of the process. Regulations have a lower level of democratic scrutiny because they do not have to be taken through Parliament. What is the role of the Regulatory Review process in ensuring fair and appropriate scrutiny of regulatory process? Definitions of key terms: have there been any significant changes? The Schedules (especially 2 & 3) contain definitions, including income definitions. Discretion: is the use of discretion by the department being further reduced by the Bill, as has been the trend in recent welfare legislation? Delivery of notices: there is a continuing move for Work & Income to use text messaging to communicate with clients. The legal status of such messages as proof of delivery of a notice is unclear under the current Act but the new Bill includes this under the regulations (see S.75(6)). How to people actually get into paid employment? It is important to challenge the assumptions underlying the approach to welfare in this Bill. What is actually the analysis of “what works” when it comes to supporting people into sustainable employment? What is the status of the previous Act and its provisions? Essentially the Bill continues all eligibility, entitlements and obligations from the previous Act. This includes determinations about a person’s conjugal status. Similarly, existing Ministerial directions are preserved under Schedule 1 as though they were issued under Clause 7 of the new Bill. Most reviews and appeals will be held under the provisions of the new Act not the old one. The discretion of the Department to respond to hardship does not appear to have been further reduced but it also appears that discretionary powers have been moved to regulations. The apparent gap between Jobseeker support for 18 – 20 year-olds appears to be explained by the fact that young parents treated differently under the Act. Medical certificates are an issue in rural areas where there are very few doctors. MSD is required to supply medical assessments locally but this creates problems in small communities where doctors are not wanting to do assessments which in turn means a lack of alternatives for people. Accessing NCEA Level 2 education for job seekers is challenging in rural areas. MSD is required to make this happen but the evidence is that some rural areas are not serviced with any or sufficient appropriate education provision. S.(30)(2) The ‘one-child’ rule for women on a benefit is unjust (see also S.204- 207). It results in different abatement and work tests for them. It is not an answer to child poverty and does not account for other circumstances affecting the woman involved. It also encourages termination of pregnancies as a way to avoid the impacts of the rule. It is important to note that MSD has under S.(207) considerable discretion in applying this rule. S(61) – (65): The Accommodation Supplement clauses look to be unchanged although S.65(4) seems to say that MSD can do what it likes. S(60) Exceptional circumstances grants can be given to people who would not otherwise be entitled during an epidemic. Could this also be extended to also apply for civil emergency situations? S.43(c) Supported Child Payment. Proving that a family breakdown is likely to be greater than 12 months is not a sensible test. It does not seem to take account of the situation of orphans. This section would seem to need new wording! S.68 The Child Disability Allowance is treated as recoverable income which is unfair because it effectively takes away one benefit when granting another, yet the Allowance is for ongoing disability. It is revealing to note that there are around 70 sections setting out beneficiary obligations compared with just 2 setting out MSD obligations! Failure to comply with obligations without “good and sufficient reason” is mentioned in several sections (e.g. S.91). MSD should be obliged to inform people so they can understand their entitlements and obligations are and what “good and sufficient” reason might be. S.95 All main obligations are now covered in this clause. S.100 Notifying MSD when leaving the country for an extended period. As more people are returning to NZ this is turning out to be a problem because they may not have correctly notified MSD of their absence. It would seem reasonable to change this in order to avoid undue hardship for those returning from overseas (e.g. Australia). How do you “notify”? The Bill does not specify how a beneficiary should notify MSD. In S.98 MSD must request “in writing” but what is the status of texting? It is not a reliable means of communication but used by MSD and beneficiaries. S.104 (1)(A) Work ability assessment and benefit entitlement is a major change from the current Act (and appears to be using the UK model?). S.117 The social obligations being imposed by this following sections are invasive and stigmatising without the state resourcing to support this. For instance the requirement for children to attend ECE when there is little suitable ECE available in the vicinity, as is still the case in some low income neighbourhoods. S.144 The money management process for young people is disempowering and in practice does little to promote independence. Despite a great deal of talk of “front-loading” investment in people, there is little direct evidence of actual efforts to invest in comprehensive and effective responses to the needs of people receiving income support. Instead we see a focus on driving people “off the books” in an attempt to reduce welfare statistics. Single older men not well served by the current approach to welfare. If MSD finds you work, you have to go, even if it is out of your area, which may mean loss of contact with family, issues with social support and housing. 176 – 178 Sanctions: Penalties for not disclosing the parent of a child are counterproductive. It deepens the stigma for mothers and adds to the hardship for children involved by reducing family income by between $22 – $28 per week. It does little to increase the likelihood of fathers making child support payments. Auckland Action on Poverty has set out a strong case for removing these particularly punitive and harmful Sections. More than one in six (17.7%) of working age beneficiaries are living with Section 70A deductions, around 14,000 people which means families with thousands of New Zealand’s most vulnerable children These Sections serve no useful purpose and should be removed from the Bill. S.181 Receiving compensation (e.g. ACC) can result in a decreased entitlement (even when it is a confidential settlement meaning the person is not supposed to disclose it). Helping people to comply with their obligations should be the focus on this Part and while there are improvements, the Bill needs to do more help people to avoid sanction and know how to re-comply. S.218 Has been made clearer that a person cannot be sanctioned again until he/she has re-complied with the first sanction. 232 – 234 Defines “good and sufficient reasons” for various circumstances, which does help to clarify the current approach. S.235 MSD must give written notice of sanctions but a good further addition would be a sub-clause S.235(2)(i) that explains how to comply. S.237 Notices being given: The timing gives no allowance for postage time, which due to postal service changes is becoming slower in some regions (5 days means automatic hardship). S.237 (1)(b) allows a sanction notice to be delivered “by electronic means”. If this intended to include texts, then then this is not a reliable means of delivery. Not sufficient notice is a general issue with the welfare system and the rewrite bill must address this. Almost all of disputed sanctions have been found to have good reason. However, a person has to actually dispute a decision and many people simply do not know they have the right to dispute or lack the skills or self-esteem to challenge. S. 240 – 242 Drug testing: There seems to be a tightening the rules around tests and sanctions on failing a test. There are a number of issues with the approach to drug testing, including poor quality drug tests and lack of rehab services available to support people. Allowing redirection of benefits without the person’s consent is the major change contained in this Part. Are powers granted in this Bill too broad and does it give enough protection for very vulnerable people? There are also issues around provisional grants, stand-down period and delivering notice for the purpose of this Act. S.283 Immediate Provisional Grant: The ability to give immediate grants with later provision and back-dating looks good but may also give the department excuse for slow investigation of entitlements. S.303 13-week stand-down: This punitive approach lacks any sense of ‘rewarding’ good behaviour rather than sanctioning and hardship this creates. Subsection 303(2)(b) could be changed to make completion of activity the point where stand down ends, giving a motivation to complete as soon as possible. There should also be information that explains to the person what they need to do to get your benefit back in clear language. Re-application forms should be provided or an 0800 number to call to have the relevant form sent. S.318 Redirection clauses represent a significant change: Allowing redirection “without consent” is the major change and this should be qualified by “good reason” and sufficient income. Debt: There is mounting concern in our networks that the “social housing support products” are driving people into high debt, both to government and to private landlords. High housing costs are still not overcome by the extra payments & grants. Private landlords are not signing up to offer properties to rent to Work & Income clients. Allowing compulsory re-directions and saddling people with more debt does not seem a good path towards “independence” of the welfare system. S.343 How to give notice for the purposes of the Act: This section specifies that the details of how to give notice by MSD or the person concerned will be set out in the regulations accompanying this Bill (which are not yet available to consider). A key question for this Part of the Bill is whether rights to review and appeal have been narrowed? The Department has stated that the Bill does not make any substantive changes to the existing Social Security Act Appeal Authority provisions. It has simply brought all the relevant provisions into the same Part 7 of the Bill. A small but significant change appears to be in the narrowing of the right to appeal by removing the phrase “affected by” and replacing it in S.376(1) with the term determination of MSD “made in relation to” the applicant. This will mean people such as flatmates of beneficiaries whose own entitlement might be affected by decisions made about the entitlement of their flatmates will most likely be excluded. This is likely to be a relatively small group of people. There is a small extension in the right of a spouse or partner to appeal determinations made about recovery of excess payments obtained by fraud. S.376 includes the principles which is an improvement but could be further strengthened by adding a clause to clearly set out the process for revision. Natural justice including right to representation needs greater attention. Hardship caused by delays. It would make sense to have an ACC-style timeframe for resolution of reviews. S.383 Has widened the section to make it clear that the department must take all necessary steps to put into action determinations of the Appeal Authority and represents an improvement. Section 421(4) – p.230 Regulation-making powers: This section says that the Minister must not recommend the making of particular regulations under subsections relating to benefit re-directions “unless satisfied that they will, or are likely to, help achieve positive outcomes for the beneficiaries concerned”. (See also S.427(3)). This is a welcome constraint on the powers of the Minister to make changes that impact on people on welfare. The question to ask is whether this protection is sufficient given the change in approach giving much wider regulation-making power to the Minister. S.432 CPI adjustments: There appears to be no change to the categories of benefit that receive an annual CPI adjustment. There are several areas where CPI adjustments should be added such as the thresholds for Accommodation Supplement payments and thresholds for abatement of payments. Using a different basis for maintaining the purchasing power of income support should be applied. This is an opportunity to recommend that benefits be adjusted to match movements in the average wage, in the same way as NZ Super which would make for a more consistent approach across MSD spending. S.434(1) Repeal of the 1964 Social Security Act: This is the section that formally repeals the old Act. Is this a momentous moment in welfare history? Or the final nail in the coffin of the nearly 80 year history of social security system?